Finally nature silently fell asleep under a coat of snow. Forms and sounds reduce to a soft scenario that is only highlighted when the rays of light turn into dancing reflections. A perfect time to get into the mood for Christmas. 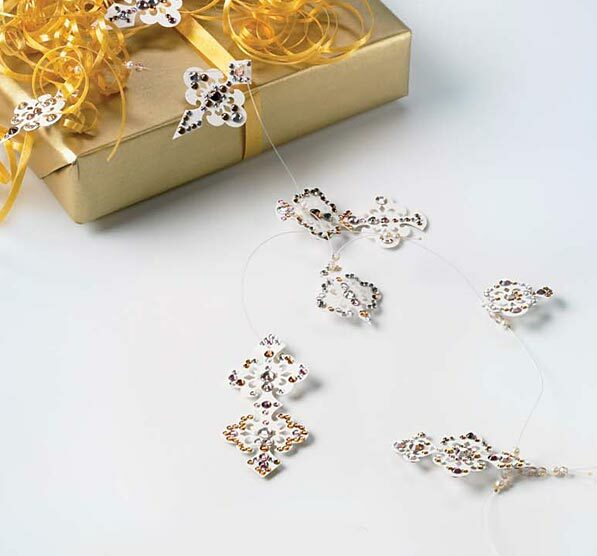 The Christmas tree pendants and tree balls by CREATE your STYLE™ with Swarovski are inspired by this natural spectacle. The contrast of soft and fake fur-flakes highlights the sharpness and ice-like twinkle of the crystals in the pendants. The balls made of paper strips filled with feathers are depicting the fascination of genuine snow. 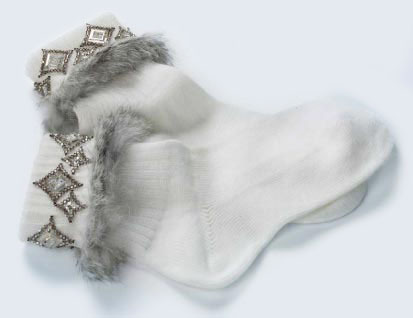 Snow queens complete their personal winter wardrobe with socks that keep the feet warm promising a brilliant walk or drive on the sledge. There are a million reasons to say ''Thank you'' to the people you estimate. Gifts are one of the most expressing gestures to do so. And if the package is designed with CREATE your STYLE™ with Swarovski it will be certainly greeted with exclamations of joy and admiration. 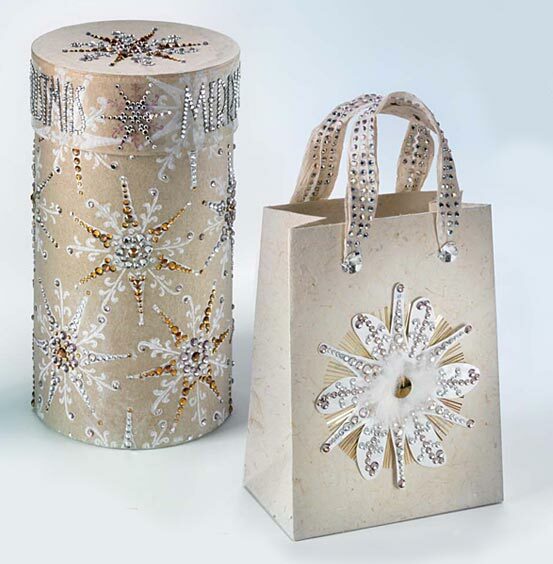 A beautiful package like this crowns even the simplest gift and increases the pleasant anticipation for the recipient. This moment of tension and happiness is elongated and any time the package is used again--may it be for personal little treasures or for next years Christmas cookies it is present. If ever you thought it was to cold for a little walk outside, this shawl inspired by CREATE your STYLE™ with Swarovski leaves no more room for excuses. 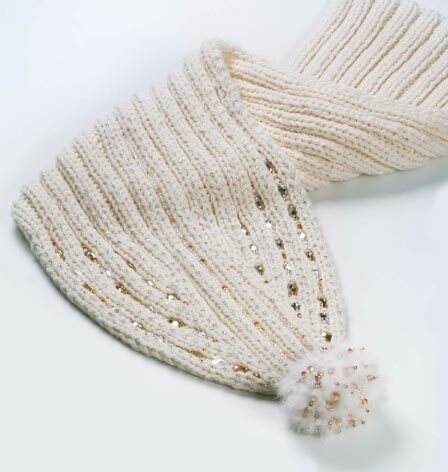 Generously wrapped around your shoulders, it protects you against the cold and perfectly fits to your catwalk on snow. In the small folds of the soft knitwear little crystals are nesting and sparkling like snowflakes that will never ever melt again. Wherever your way will lead you, this piece of design will warm your soul with beauty and the highlights of wonderful moments. Enchanting little treasures are waiting to be created conjuring up sparkle and pleasure not only in children's eyes. There are thousands of new combinations to design one of this wood ornament pendants. 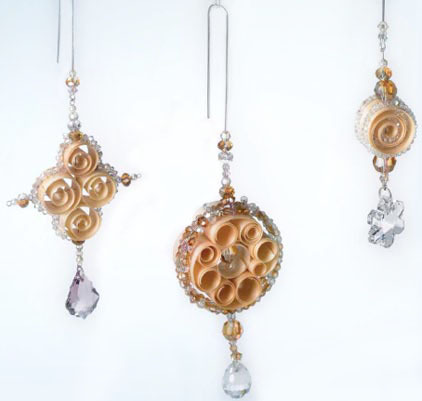 In the combination with crystals by CREATE your STYLE™ with Swarovski the cosy charm of nostalgia is newly interpreted and converts to be a delicate statement of precious decoration, in which any piece is worth being discovered and admired. Who says, a gift tag has to look like one? Say goodbye to the traditional form and replace it by a special shape gracing the occasion. A precious layer of sparkling crystal by CREATE your STYLE™ with Swarovski is a statement of courtesy. Multiply the form to create that splendid look that impresses the presentee. Be assured the gift tags will start a second life. The occasions are unlimited: as next years' decoration on the Christmas tree; as a nicely laid dinner table; as greeting cards or as window picture.